Love on the slopes. Courtesy Extremely Canadian. 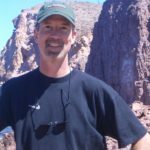 Perhaps your spouse (partner, lover, main squeeze) is as fanatical as you are about racking up thousands of vertical feet. Or maybe you’re looking to boost his/her enthusiasm for skiing or snowboarding. So put your gear in the rack, slip in a John Legend CD and head to the mountains with ways to make your snowman/woman love snow sports as much he/she loves you. 1) Enroll her in a lesson or specialized clinic. Nothing dooms an on-mountain relationship faster than you trying to teach her how to ski or snowboard. Clinics such as Elevate 1 at Jackson Hole, WY, Women & Wine at Breckenridge, CO, Women On snoW Camps at Stratton, VT, Women’s Performance Ski Camp at Loon in NH, Women’s Skiing Adventures at Alta and Snowbird, UT ,Women’s Ultimate 4 at Heavenly Valley, CA and the Women’s Ski & Wellness Week at Telluride, CO should work. 2) Enroll him in a lesson or specialized clinic. If he’s new to the sport, get him a First Timer Lesson at Sugarbush, VT, or steer him to the Learner’s Permit Pass program at Snowbird, UT. Black diamond guy? Sign him up for an Off the Beaten Path clinic at Killington, VT and Big Sky, MT, the Extremely Canadian Steep Skiing Clinic ( see above) at Whistler/Blackcomb, BC, Steep & Deep Camps at Jackson Hole, WY, Bumps for Boomers at Aspen, CO and Steeps and Bumps at Taos, NM. 3) If powder is an aphrodisiac for the two of you, book a flight for two with Telluride Helitrax in CO, Wasatch Powderbird Guides at Snowbird and Park City, UT (above) or TLH Heliskiing in British Columbia. If your spouse is afraid of flights, reserve a snowcat day at Park City Powder Cats in UT, Cabin Cat Adventures at Sugarbush, VT, Chicago Ridge Snowcats near Ski Cooper, CO, Great Northern Powder Guides in MT, and Valhalla Powder Snowcats in BC. 4) Your spouse/significant other doesn’t ski or snowboard? How about shopping? 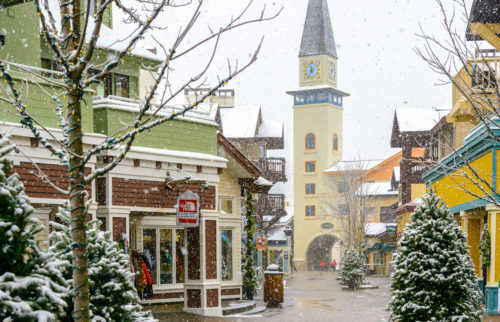 While you’re on the mountain, he/she can explore the downtown shops, boutiques and galleries in Aspen, CO, Park City, UT, Mont Tremblant, QC, Stratton, VT, Whistler/Blackcomb, BC and Jackson Hole, WY. 5) Okay, so they’ve shopped ‘til they dropped. Why not a spa day? The Sonnenalp Spa, Vail, CO, The Cliff Spa, Snowbird, UT, the Stoweflake Spa in Stowe, VT, El Monte Sagrado in Taos, NM, the Solace Spa, Big Sky, MT and the Spa at Fairmont Chateau Lake Louise, AB are rejuvenating retreats. 6) Still no luck getting them on the slopes? Make tracks on snowshoes. Almost as easy as walking, the sport exposes participants to the great outdoors at many New England, Western and Canadian resorts. 7) Size matters. If he/she is intimidated by larger resorts, think small. 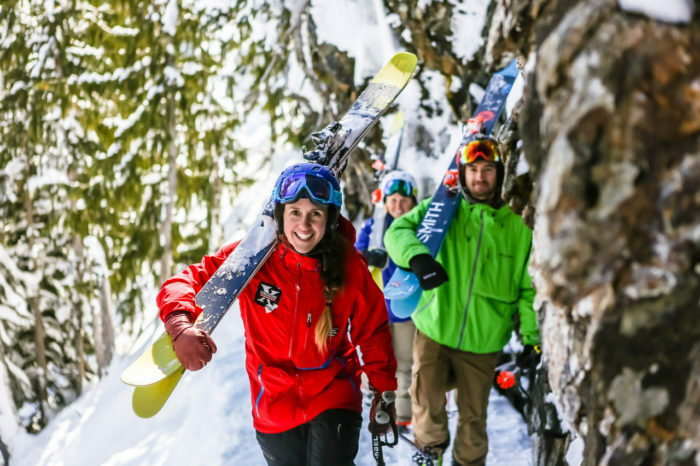 Often less crowded, more affordable and not intimidating, the resorts include Ski Cooper and Granby Ranch in CO, Sundance and Solitude in UT, Ski Santa Fe and Angel Fire in NM, Mad River Glen and Smugglers’ Notch in VT, Pats Peak and Ragged Mountain in NH, and Mt. Norquay and Pass Powderkeg in Alberta. 8) Can’t find a sitter? 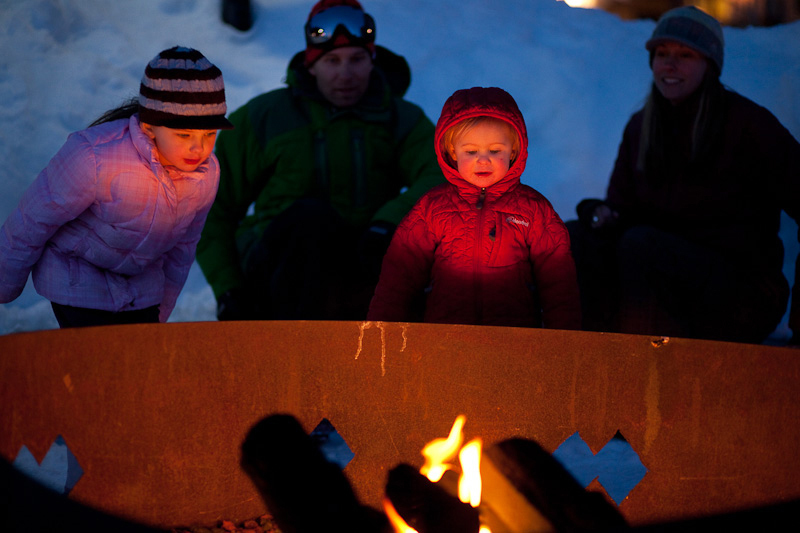 No worries, most resorts have awesome ski and snowboard schools, and many feature kids-only terrain, kids-only lifts, magic carpets and even supervised day care. 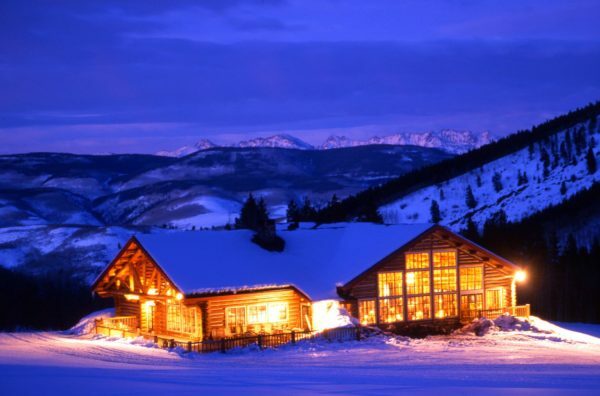 9) If the way to a man’s/woman’s heart is through the stomach, share an evening at The Spur or Il Villaggio Osteria at Jackson Hole, WY, Preston’s and The Foundry at Summit Pond in Killington, VT, the Alpenglow Stube and the Ski Tip Lodge in Keystone, CO, Konditorei and The Ram in Sun Valley, ID, The Tree Room and Foundry Grill at Sundance, UT, or The Bavarian and Rhoda’s at Taos, NM. 10) Sit. Good boy. Many Eastern, Western and Canadian resorts offer dogsled outings, some of which include catered lunches or romantic dinners. Now you have no excuses for steering clear of the high country, so head up there and get more lip lock time with your lover.